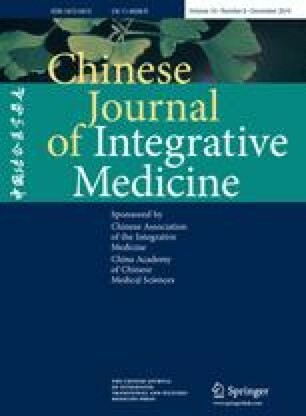 To observe the influence of acupoint catgut-embedding therapy on the quality of life (QOL), the reproductive endocrine and bone metabolism of postmenopausal women. A total A total of 65 women with climacteric syndrome were enrolled and randomly assigned to two groups, thirty-three in the treatment group on whom acupoint catgut-embedding was performed with Shenshu (BL23), Sanyinjiao (SP6) and Guanyuan (CV4) as main acupoints, and thirty-two in the control group who were only medicated with Fufuchun Capsule (妇复春胶囊). The treatment course for both groups was 3 months. Before and after Before and after treatment, the clinical symptoms, the QOL score, serum follicle stimulating hormone (FSH), luteinizing hormone (LH), estradiol (E2), testosterone (T), osteocalcin (BGP), parathyroid hormone (PTH), calcitonin (CT) and alkaline phosphatase (AKP) were measured. In addition, another 28 women with childbearing potential and normal regular menstrual cycle were selected and the reproductive endocrine hormone were tested in the ovulatory period as controls. The levels of serum FSH and LH of postmenopausal women were higher, and serum E2 and T were lower than those of normal women (P<0.01). After treatment, the levels of serum E2 In both groups and T in the treatment group were increased, while in the control group the serum E2 increase was more significant than that in the treatment group (P<0.05), and serum T showed no statistical difference. The levels of serum FSH, LH, BGP, CT, PTH and AKP were reduced significantly in both groups after treatment (P<0.05). The QOL scores were Increased remarkably in both groups on physiological functioning, bodlly pain, general health, vitality, and mental health after treatment (P<0.05),but the improvement of bodlly pain and mental health in the treatment group were better than those in the control group (P<0.01). There was no significant difference in the therapeutic effect between the two groups after treatment (P>0.05). Acupoint catgut-embedding showed an obvious effect on climacteric syndrome, and enhanced the QOL in postmenopausal women. The therapy could regulate the hypothalamic-pituitary-ovarian axis to raise the serum E2 level which may be significant in preventing and curing the osteoporosis in postmenopausal women.